An account on Medium of designing the letter Æ. Short videos are rarely as satisfying as this! Would love to see the end result. It might be because I love the topic, but I find letterpress lends itself to film. So much to capture, so many details and such a rich variety of materials it’s easy to see why film makers enjoy putting our process on film. Diogo Atadini has been in touch about his film of the Hooksmith Press. Beautiful work! Nice article from Wired commenting on the revival in letterpress, with a focus on the role of photopolyment in that revival. My personal view is that most of those new to the craft love messing about with individual metal types as part of the process, rather than jumping to polymer. Digital methods are reinventing Gutenberg's signature press as the darling of the DIY world. I’m late to this (as always) but can’t resist a little envy at the delightfully tidy works at the London Centre for Book Arts. A wonderful exhibition from Monotype at the Type Archive on the work of Berhold Wolpe, perhaps most famous for the beautiful Albertus. An enjoyable Telegraph article about Kelvyn Smith, proprietor of Mr Smith’s Letterpress workshop. A thoroughly nice man who was good enough to talk me through his approach to printing a couple of years ago. 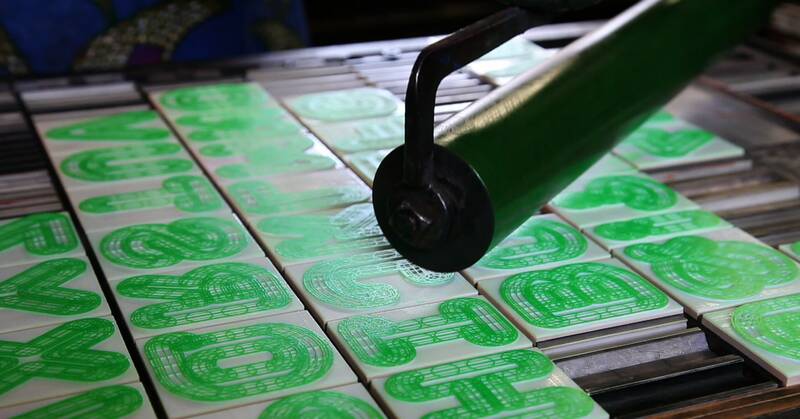 The smell of printing ink mixed with freshly brewed coffee hits you when you enter Mr Smith’s Letterpress Workshop in south London. Lovely write up by Crown of Flowers of Graham Bignell, Beatrice Bless and Richard Ardagh’s New North Press. You Need the Gill Sans Ensemble!